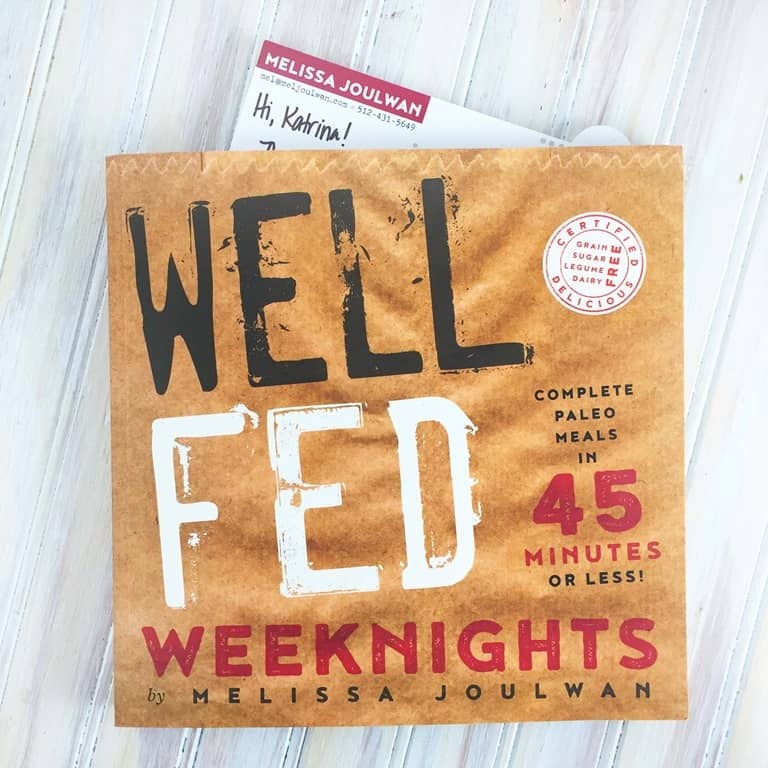 Well Fed Weeknights Coming Soon! 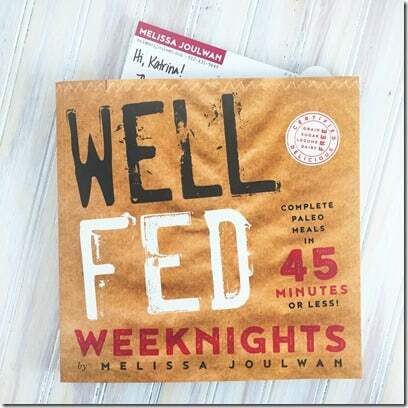 I wish I could show you all the pages in Well Fed Weeknights that I have tried and enjoyed this past month. With a very busy month of October, this book has been the difference between home-cooked good-for-you food and takeout or chips and salsa dinners. There were many mornings that I would grab this book on the way out of the door and planned dinner before coming back home. That’s how easy and quick most of these recipes can be. Most of them are around 30 minutes from pan to plate. And, y’all, this is REAL meals. From burgers to burrito bowls, Asian cuisine, to good ol’ steak and gravy. 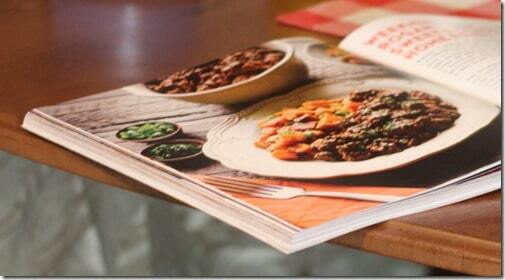 That’s what I love the most about Mel and her 3 Well Fed cookbooks. This one blew me away. I really didn’t know how she could top her first 2 Well Fed editions, but she did. I posted earlier about my first review of the book and let’s just say, I kept coming back for more. November 1st is the date for this release and I hope everyone takes my advice. 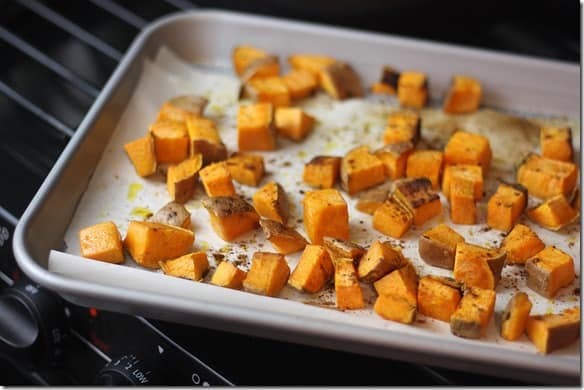 If you are new to Paleo, new to cooking, tired of Paleo ruts, looking for something new for fall, or you just want to see if I’m blowing smoke, GRAB THIS BOOK. And thank me later. I can cook out of this book, in an RV with a stove as tiny as Frankie’s litter box, Imagine what you could create with a real person stove. 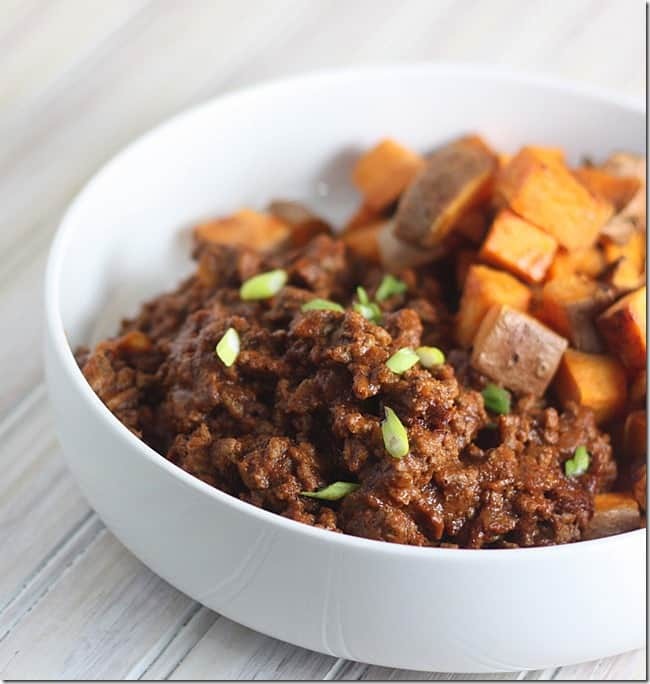 Tonight, I made Rogan Josh with roasted Sweet Potatoes. This is a classic Indian dish and although my first experience with Indian food back in 1999 was not stellar, I have since learned that Indian cuisine can be AMAZING! This is another recipe to add to my file. I had most of the seasonings on hand with Penzey’s Rogan Josh seasoning. If you do not have a Penzey’s close by, I highly suggest checking them out online. This is my favorite place to shop for spices.
. Again, this is the largest pan I can fit in my RV stove. I really should have made 3 pans, but the October heat wave+small spaces mean I gave it up after 1 pan. November 1st. Well Fed Weeknights. Check out Mel’s website and blog. Here is my review post for the book.